Rediff.com » Movies » What's Anupam Kher doing with Lenny Kravitz? 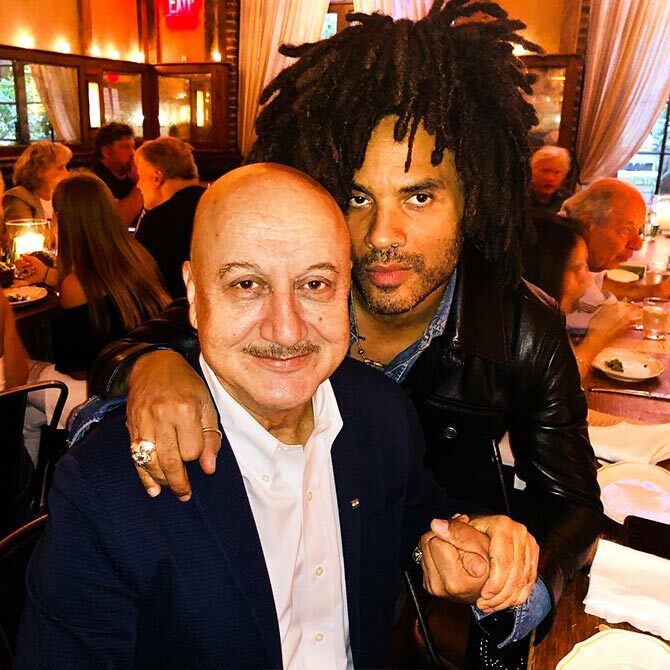 What's Anupam Kher doing with Lenny Kravitz? Watch out for Anupam on NBC! 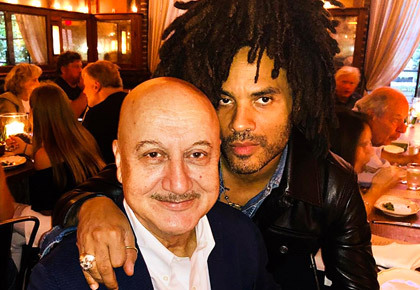 Anupam Kher, grand marshal at the India Day Parade in New Jersey, caught up with singer Lenny Kravitz in New York on Monday night. 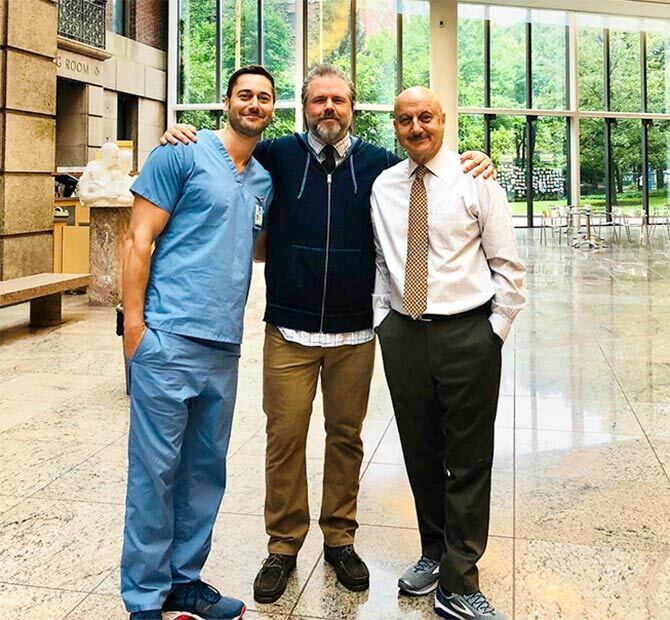 Anupam is currently shooting New Amsterdam, a medical television drama, in New York. New Amsterdam premieres on NBC on September 25.